Los Angeles (AFP) - Dirk Nowitzki, who helped revolutionize the game as a big man with a potent long-range jump shot, passed Wilt Chamberlain on the National Basketball Association's all-time scoring list on Monday. Nowitzki reached the milestone by hitting a 16-foot shot with 8:33 left in the opening quarter against the New Orleans Pelicans. The long-time face of the Mavericks thrilled the home crowd, who were standing on their feet in anticipation of the moment. The league's leading scorer Kareem Abdul-Jabbar is the lone seven foot star to score more points than Nowitzki, whose jump shot and ability to hit three pointers from beyond the arc changed the North American game. Before Nowitzki and China's Yao Ming, big men weren't perimeter threats to score. Seven footers like Shaquille O'Neal and Patrick Ewing would stand in the paint and reach over the top of smaller defenders and take short range turnaround shots to score. 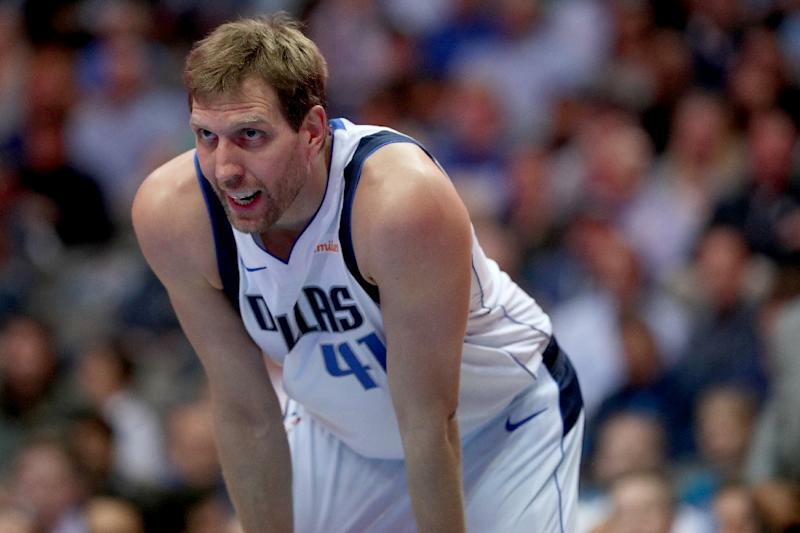 Nowitzki has yet to make a decision on whether this is the final season of his career, but he is widely expected to retire.